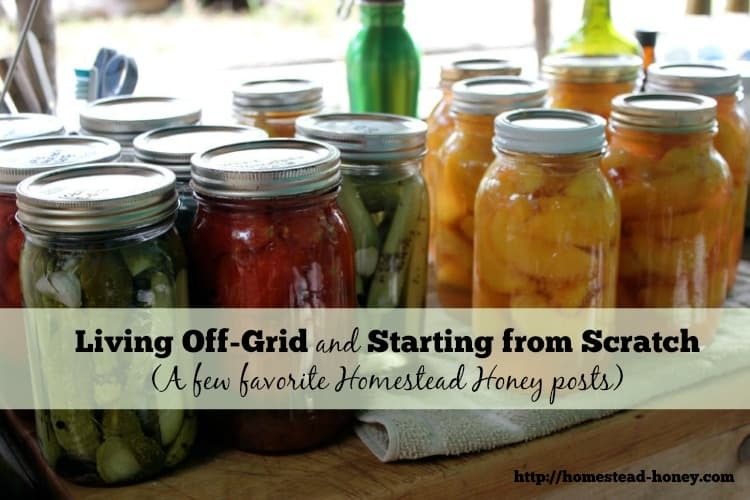 Today I thought I’d dip into the archives to share some of my favorite Homestead Honey posts about starting a homestead from scratch and off-grid living. 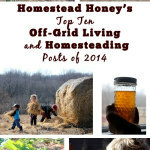 Many of these posts were written when we were new to Missouri, or had just settled onto our land. 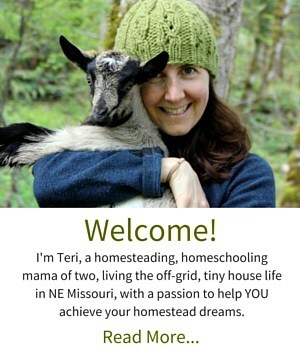 What an amazing time – so ripe with new possibility, and yet also overwhelming with the reality of building a brand new homestead! It’s really fun for me to look back and see how far we’ve come. I hope you enjoy them! 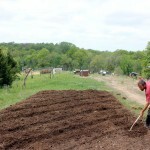 Touring the Tri Communities: An inspirational tour of the “Tri-Communities” of Dancing Rabbit, Sandhill, and Red Earth Farms, which are all located in NE Missouri. 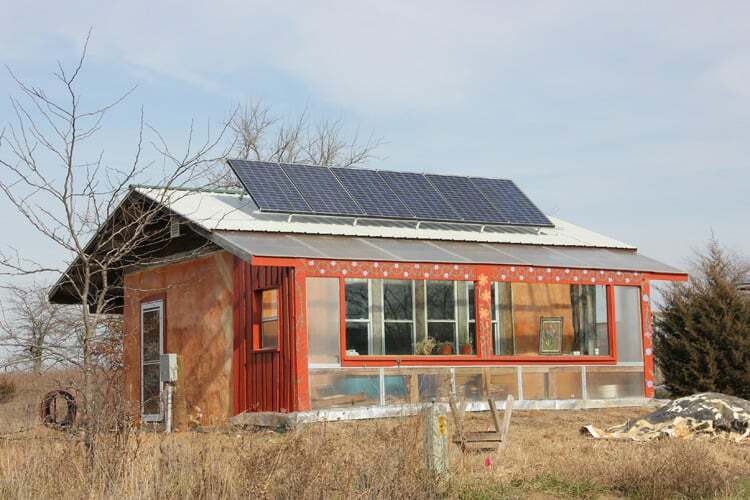 Touring these communities gave us a new appreciation for what is possible in off-grid living. 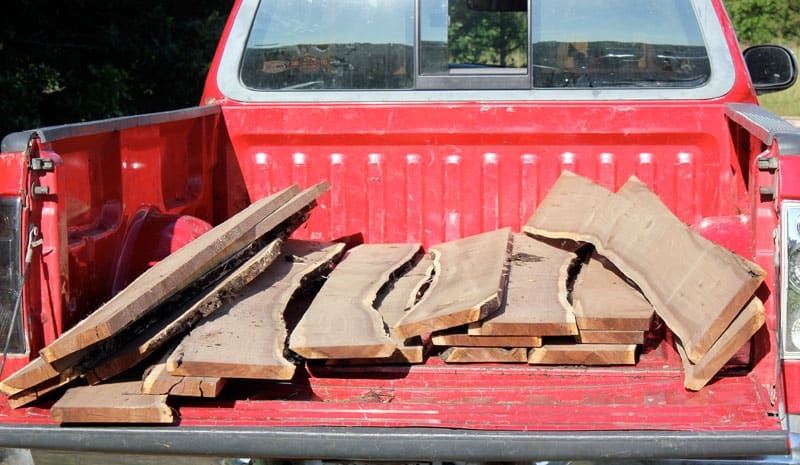 Create an Instant Garden with Sheet Mulching: Starting our garden from scratch on grass. With lots of help from my kids, and many piles of organic matter, we created a lovely garden space. 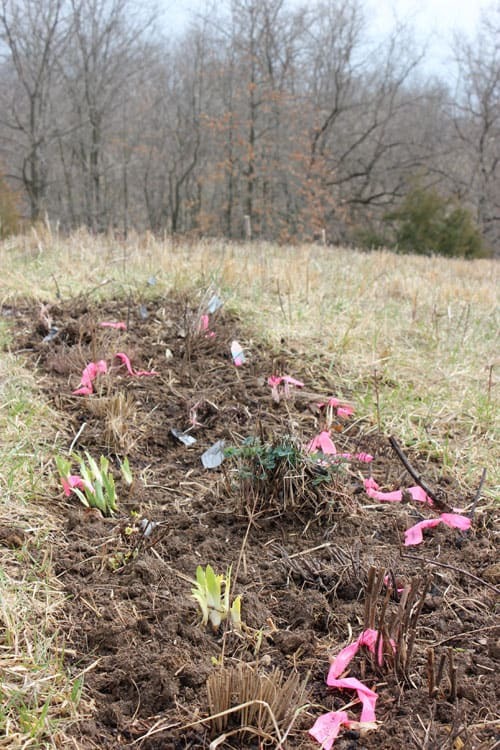 Planting Down Memory Lane: In which I wax poetic about my perennial flower garden, and the memories it holds. Setting Up An Outdoor Kitchen: Proof that creating a totally functional and wonderful kitchen outdoors with just some scraps of wood, Rubbermaid containers, coolers, and a tarp is possible (and really ideal for a hot, humid summer climate)! 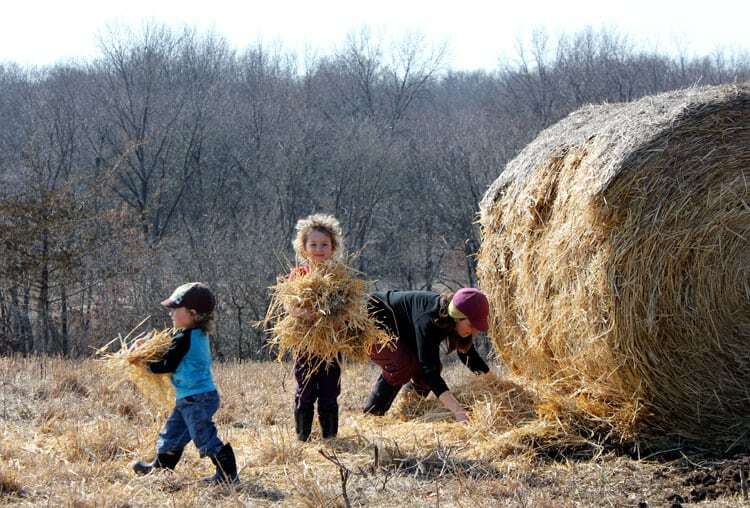 Piles: The work of a homestead begins with piles. And piles. And more piles. Of all sorts of materials! Living Outdoors – A Day in the Life: A peek into how we lived last summer as we were building our tiny house. 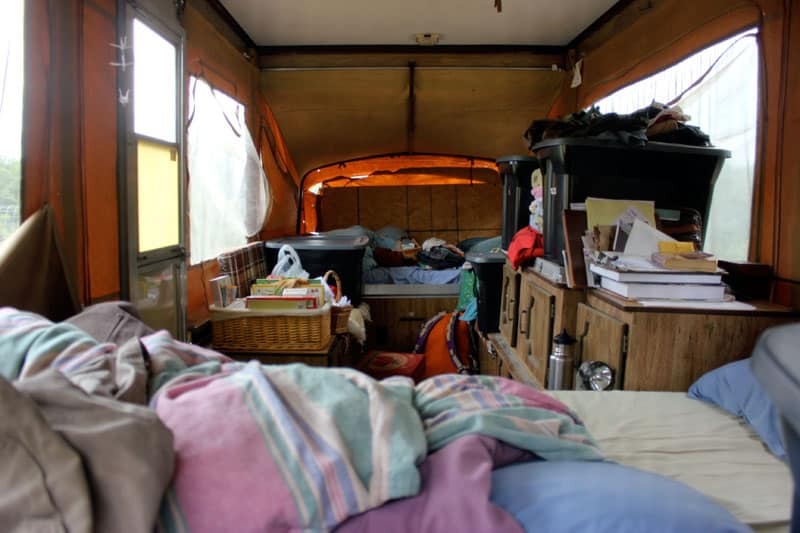 Tent trailer, outdoor kitchen, solar lamps, and more! 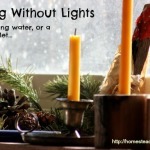 Living Without Electricity: One of my favorite (and most controversial posts). 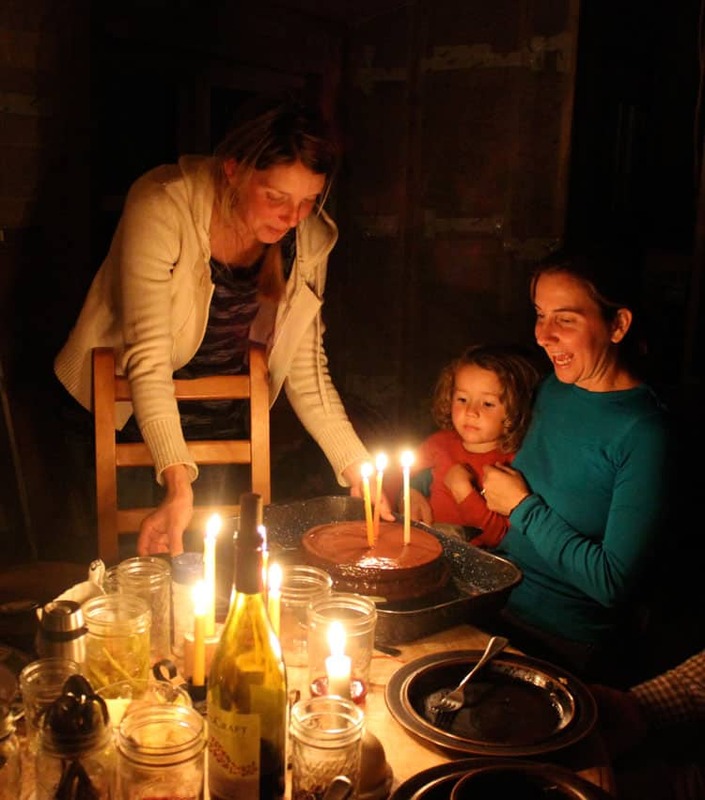 I share the full scoop of how we live (almost) without electricity and running water, which wouldn’t be possible without the full support of friends and neighbors. 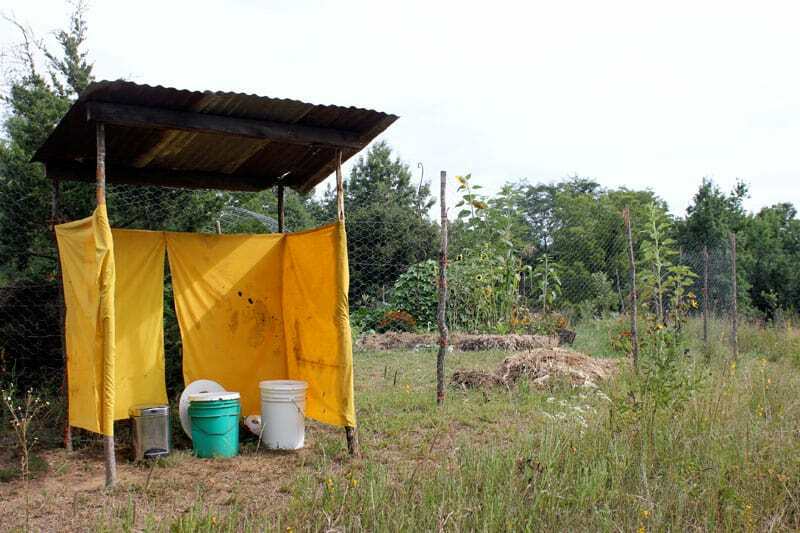 The Poop Scoop – Composting Toilets for the Homestead: How we do our business in these parts! 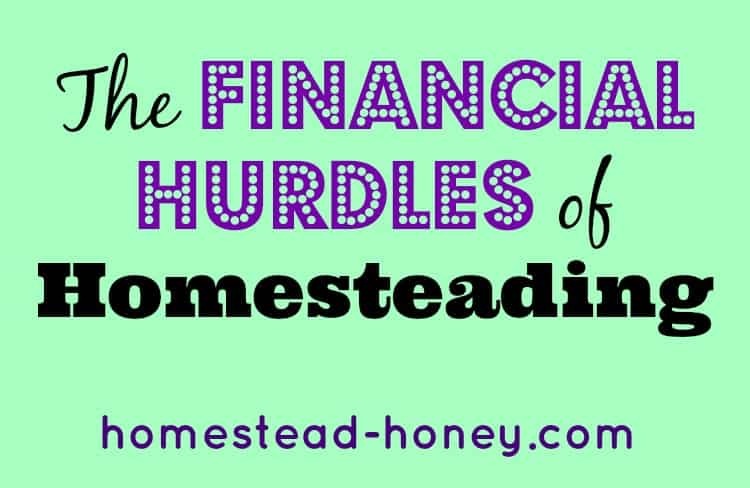 The Financial Hurdles of Homesteading: Getting real about the true costs of homesteading, and getting a debt-free start. 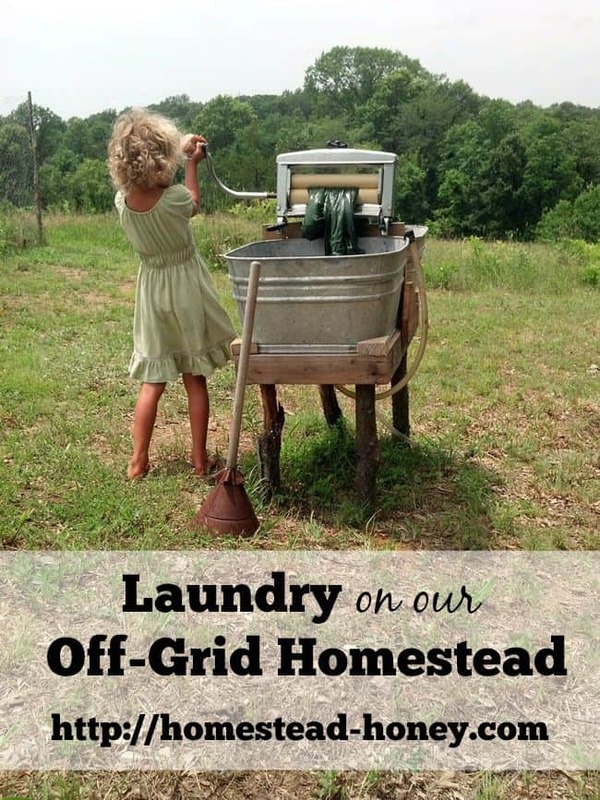 Laundry on our Off-Grid Homestead – keeping a family of four looking sharp! 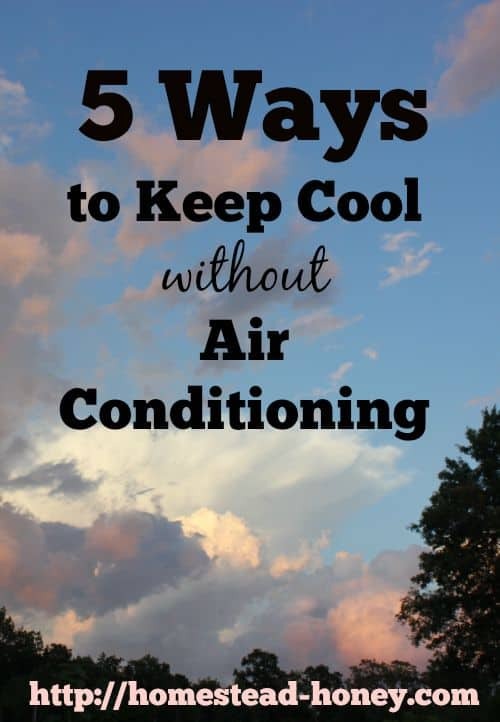 5 Ways to Keep Cool Without Air Conditioning – (Yes, one of them is a fan) Low-no tech options for keeping cool in a hot summer climate. Love this site! Only wish I had more time to read it! So great to her you made it to Baker’s Creek Annual Festival!!! We have wanted to attend for a couple years & were on the verge this year, however it had to wait another 🙁 We love to go online & read about their heirloom varieties, and make our choices!!! I’ll look forward to a story about your experience there 🙂 at their little town!!!! Thanks For All Your Wonderful Info!! It was a fun adventure, Melissa! You will have to make it there one day! 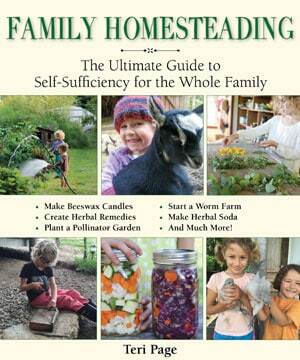 I am always curious how families living off grid bathe. Nobody ever talks about that. Our bathing system will evolve over time, as we are able to invest in the infrastructure we need, but our current system is to heat bathwater on the wood stove or propane/rocket stove and then bathe in a galvanized steel tub, indoors. 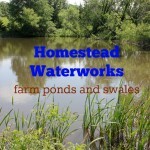 In the summer, we often bring a bucket and water scoop and bathe near the pond with pond water. Super rustic. 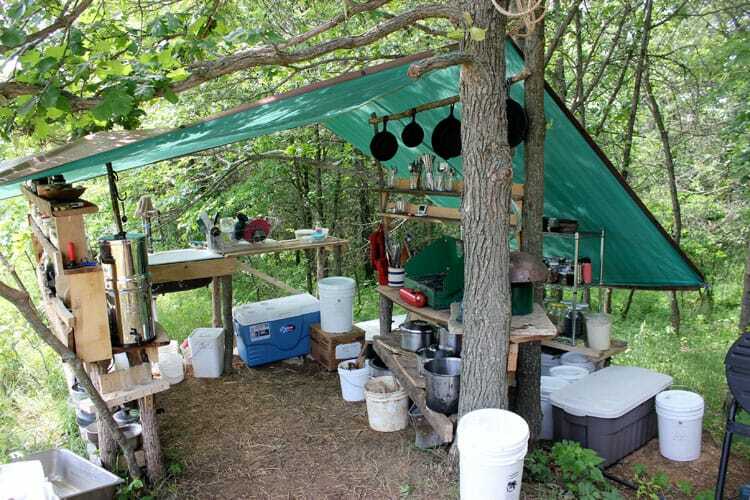 Some folks that are off-grid heat water through their wood stove, some have on-demand water heaters, some have outdoor woodstove-like systems to heat water. Some have solar hot water heaters. 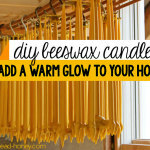 I’m sure there are many more methods, but those are a few I’ve seen utilized. I’m not sure what method we’ll end up using.